Are you looking for specific colors, but you have not decided the type of flower yet? Here you will find all of our peach flowers. Peach flowers were made for a spring or summer wedding. They’re representative of modesty, purity, and innocence. 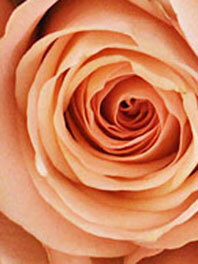 The soft hue of peach flowers is fast gaining in popularity and is now widely loved by many brides. Many popular blooms like ranunculus, dahlias, garden roses and peonies are all available in peach colors. Combine peach roses, dahlias, zinnias, and green succulents for a unique and colorful bouquet. Go with peach juliet roses, white anemones, and pink roses for something soft and subtle. But this beautiful blossom flower is not only for weddings! Bring warmth and comfort to any room with a pink-and-coral peony and garden rose bouquet. Or surprise someone special with a pink rose and coral gerbera bouquet. True to Flower Explosion's excellent standards, we source directly from the farm. All our peach flowers are grown in the Andes foothills that enjoy 350-plus days of sunshine. They are cut-to-order and arrive at your doorstep just 3 days after first cut to ensure your flowers are the freshest possible.